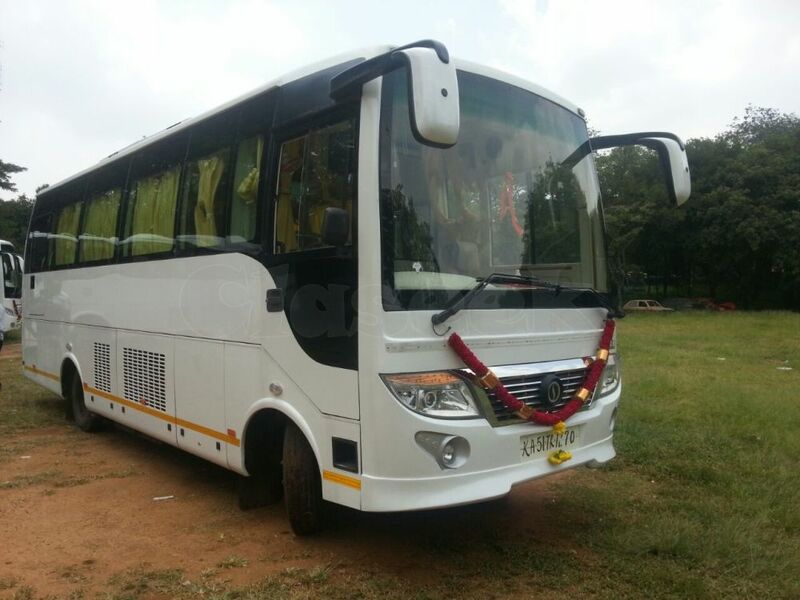 The 18 or 21 seater A/c or Non ac Mini Buses and Luxury coaches for Hire in bangalore from airport or railway station, 18 Eicher or Mazda, Tata Ashok leyland buses are globally famous for their outstanding operating economy. 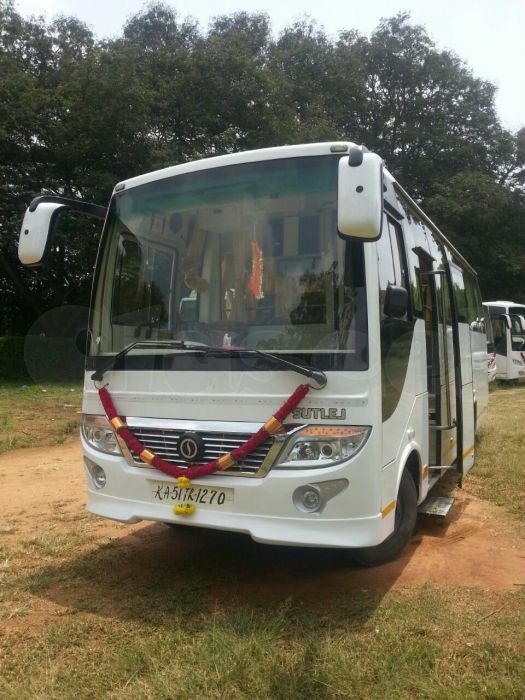 Each part or component of minibus is engineered to enhance the performance of the vehicle and to be the best in the world standards for driveability, Road Handling, fuel economy, comfort levels, luxury, safety and reliability. 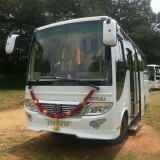 Approach us for 21 Seater bus hire in Bangalore. 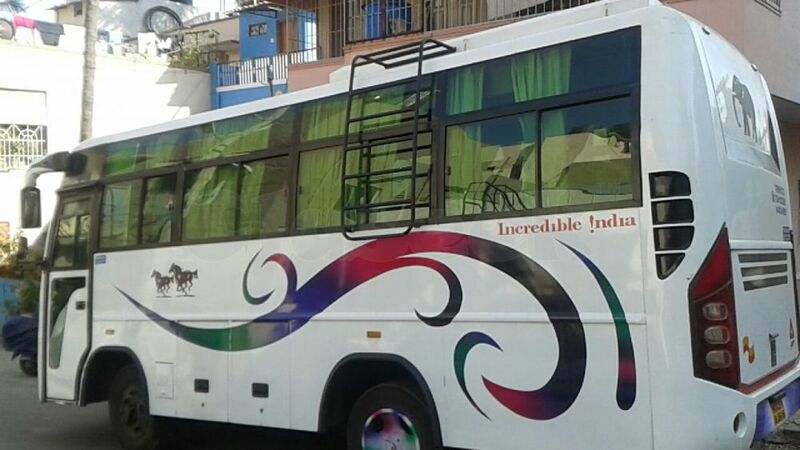 You are guaranteed of the best of luxury coaches, which not only provides you smooth travel, but also provides you a lot of comfort and luxury. 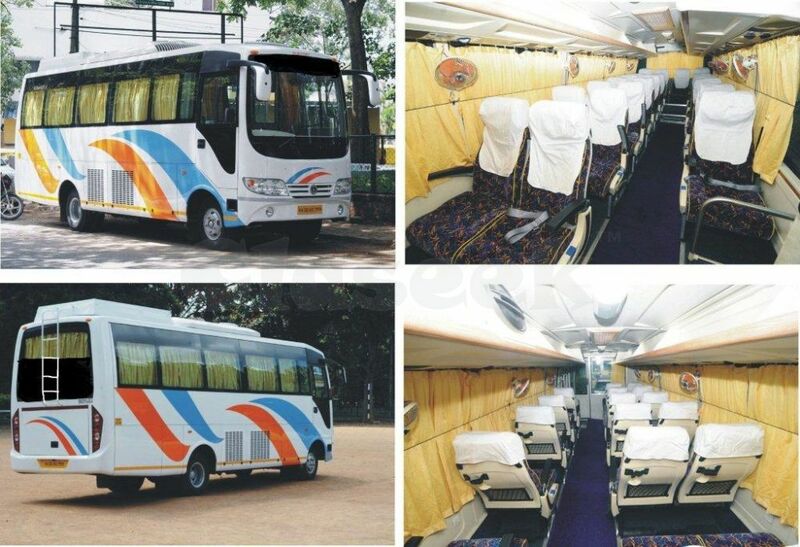 The 21 seater coaches can accommodate a little more than its 18 seat counterpart and thus a little more space. 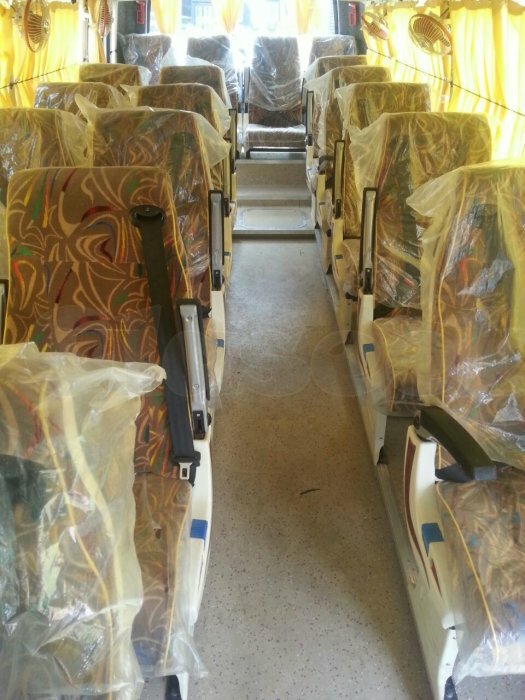 Some of the amenities that it provides are spacious & comfortable seats, music system, air-conditioning, ice bag, ample luggage space, white seat covers & curtains, and first aid box. 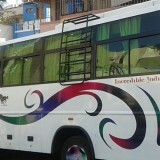 We believe in providing the most memorable travel experience and hence leave no stone unturned. 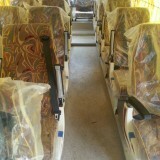 WE HAVE 21 SEATER AC & NON AC TEMPO TRAVELER AVAILABLE FOR HIRE OR RENT, FITTED WITH DUAL AC AND DVD PLAYER WITH HUGE 21 INCH LCD TV SCREEN. 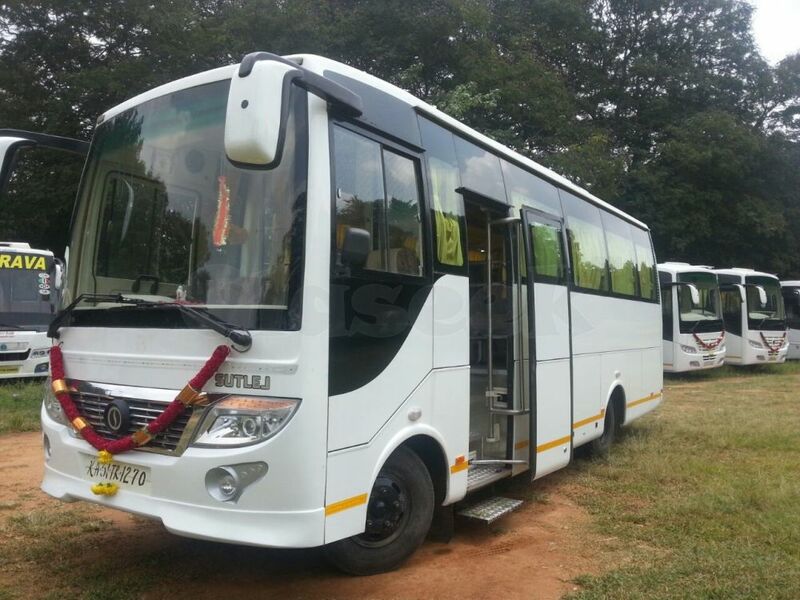 WE OFFER ECONOMICAL DEALS AND CURRENT MODELS OF MINIBUS HIRE, CAR, TAXI AND COACH HIRE VEHICLES GUARANTEEING OPULENT COMFORT FOR ANY OCCUPANCY AMOUNT. 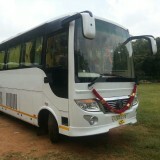 IMPORTANT CLIENTS MAY CHOOSE 6, 7, 8, 12, 14, 16, AND 18-SEATER STATE OF THE ART VEHICLES AT CHEAP HIRE RATES. 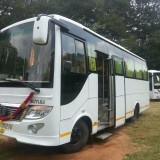 CONTINUING OUR REPUTATION FOR OUTSTANDING EXCELLENCE IN CLIENT SATISFACTION INCLUDES 21-35-50 SEATER MINI BUS HIRE MODELS.